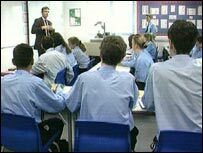 With pressure on secondary school places remaining immense, Brighton and Hove Council has decided to allocate places by lottery. The BBC's Education Correspondent Mike Baker answers questions on the pitfalls of getting a school place. How accurate is the Daily Telegraph's estimate of 200,000 missing out? In a number of places, particularly urban areas like London and Birmingham, around a third of parents are not getting their first preference school. We know that about 600,000 people apply to secondary school each year. So if you extrapolate that figure of a third you end up with about 200,000, but nobody knows absolutely for sure. Is there an accurate figure for the number of parents who fail to get their choice? The only hard figure available is the number who appeal against their school place, and that is about 60,000. But of course many people will not be getting their first choice and they will accept it, or realise they have no chance of appeal. So no-one knows exactly how big the figure is, but it is certainly big. Are more parents getting their first choice now than when Labour came to power 10 years ago? Although figures are not like-for-like, almost certainly fewer will have received their first preference. That is because people are so much more aware of their choices today than they have been over the past 10 or 15 years. League tables and Ofsted reports have created a market in schools. Parents are much more aware of the quality of different schools, compared with 20 years or so ago when they did not have much choice at all. So there is more choice, but more frustration at the same time, and perhaps it was inevitable things would go that way. Brighton and Hove have gone for a lottery. How do other councils decide? When they are oversubscribed the most usual method is the distance from your home to the school, which is used almost everywhere. The Brighton system is not a ballot for everybody. It is for when a pupil fails to get into a school by catchment area, by special needs or if they have a brother or sister there. Then the final "tie-breaker" is no longer distance from the school, it is the ballot - the random allocation by computer. How do they justify that method? Brighton has argued they will have more people going to their nearest school, about 70% compared with the current figure of 40%. At the moment in theory parents can apply anywhere in Brighton and travel, so long as they can afford to. In future they will only go into the ballot in their catchment postcode area. So is that method fairer? There is no fair way of doing this. Every system has winners and losers. This has become more of an issue because parents have been encouraged to use their preferences and to use league tables. Inevitably there are going to be people who are disappointed because they did not get the school they wanted. So is choice an illusion for most parents? It is actually more of a right to state a preference than a choice, and that is all it has ever been. Of course it is fine if all the schools in an area are good, but there is always going to be a hierarchy even if all the schools are doing well. Even the Brighton system of ballots based on catchment areas will still mean that people who can afford to buy houses in areas around the better schools will improve their chances. For an absolutely random method there would need to be a complete lottery, where everybody in a city goes into one big ballot. But councils are unlikely go for that, because it would then mean people criss-crossing the city and travelling. That would be bad for all sorts of other reasons.